﻿ Legian Village Hotel, Bali | FROM $16 - SAVE ON AGODA! 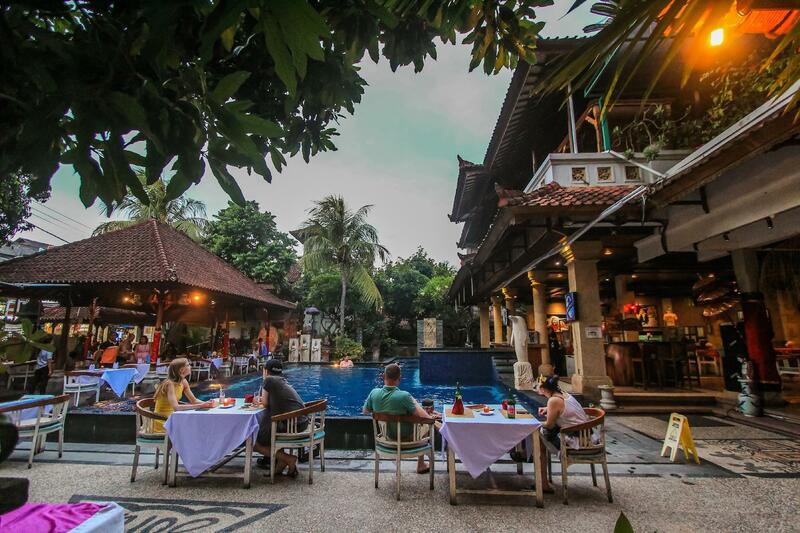 "This is a fantastic Balinese old style hotel and true Bali f..."
Have a question for Legian Village Hotel? 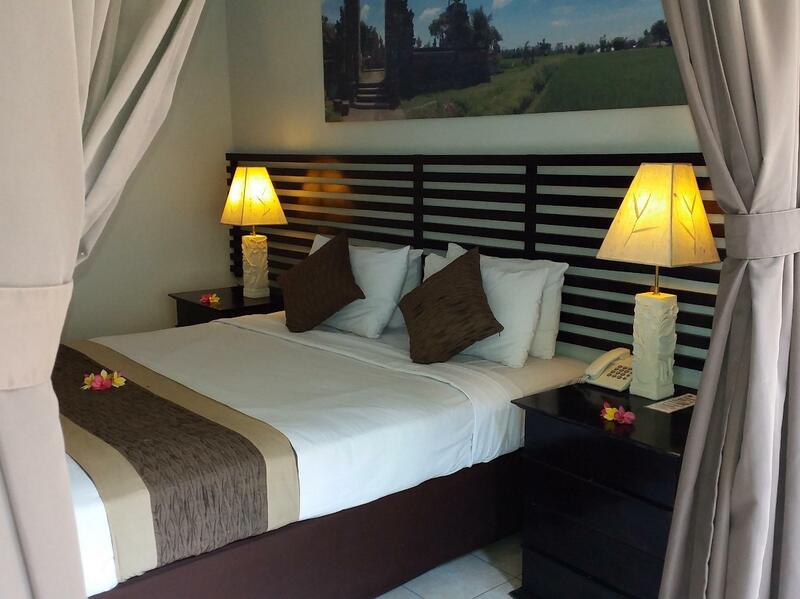 "My go to hotel in Bali, great service, great people"
"The staff is also helpful to serve and friendly at all time." "The room and ambient is therapeutic." "Good value for money and close to everything in town." 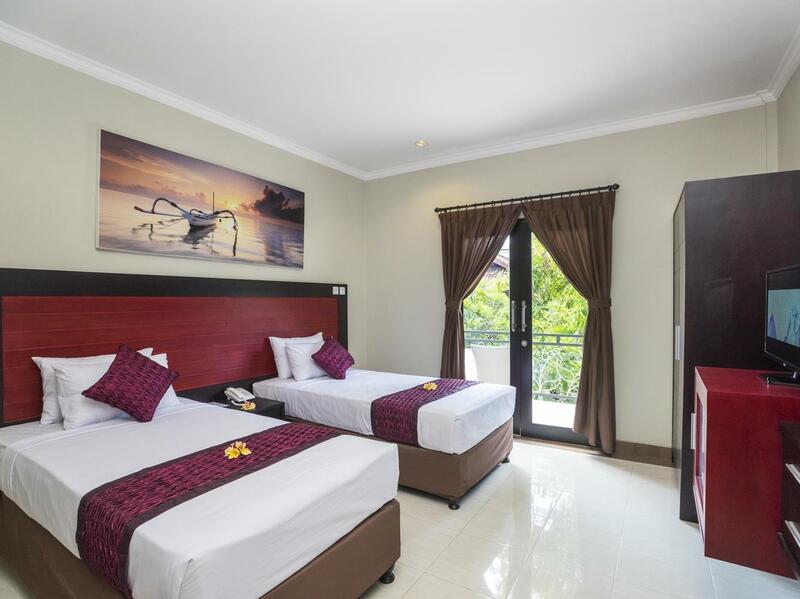 Just minutes from Kuta and Legian beaches, the Legian Village Hotel is perfect for soaking up the sun on golden sands in a tranquil atmosphere. The nightlife scene around the hotel is buzzing with numerous packed out pubs, bars, nightclubs, and eating venues. Rooms are warm, spacious, and comfortably designed in minimalist fashion and offer modern amenities, including satellite TV and a well-stocked mini bar. A live band plays every night for guests dining in the on-site restaurant which serves delicious Balinese dishes and a wide range of international meals. Please enter your preferred dates of stay and submit our online booking form to make a reservation at Legian Village Hotel. "The music each night was fabulous had the best time dancing..."
Please note that all Superior rooms are located on the 2nd floor. Upon arrival were were give a cheaper room and were not given the room we had payed for until we my partner complain to management ,that was not the room we payed for.Then and only then were we moved in to the room we payed for , bit doggy. Also the room was dusty and smelt moldy.would never stay there again. The room this time was brilliant, not like the last. Last was near the road and traffic noise too load and broken doors. Needs renovations which is happening slowly. 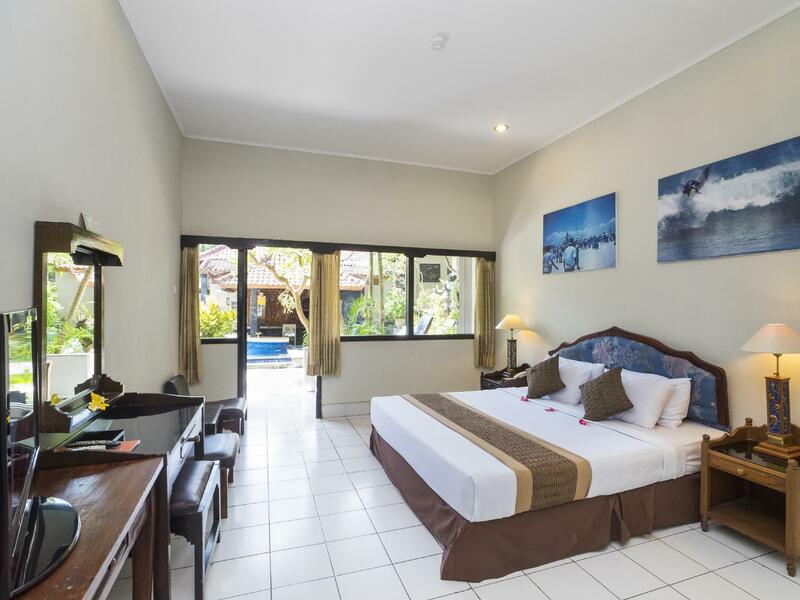 All in all, great value for money right in the heart of Legian Beach! I was a bit concerned re the prior negative comments. All in all, I needed not be. The hotel was sufficient and 1/2 the price of others I had stayed at previously. The staff were faultless, the meals were great (even if breakfast was only a set menu) and cost effective. I didn't go hungry, I didn't go broke, I didn't have any major issues to contend with, and if I did, I would just ask the staff to sort it out for me. All in all, for the price, a great place to stay. The reconditioned pool was nice too. I would not recommend this hotel, the rooms are filled with mosiqutios. The bedsheets is stained and dirty, toilets are old and not clean. The atmosphere of the rooms is creepy, the smell of the room is mouldy. The towels had bad smell and dirty. They have to worst selection for breakfast. Please think twice if you would visit this place. Never a 2nd chance for me to come again. This place was fantastic. Great, friendly and helpful staff. Clean rooms, great breakfast, great air con. Would definitely stay here again..
Good value for money and close to everything in town. Friendly staff. Legian Village is where l stay everytime l go to Bali. It's basic , clean, cheap and excellent location. If your expecting 5 stars this isn't the place for you. But if you're after somewhere with friendly staff and convenient then this is the place for you. Great location, every thing at your fingertips including the beach! 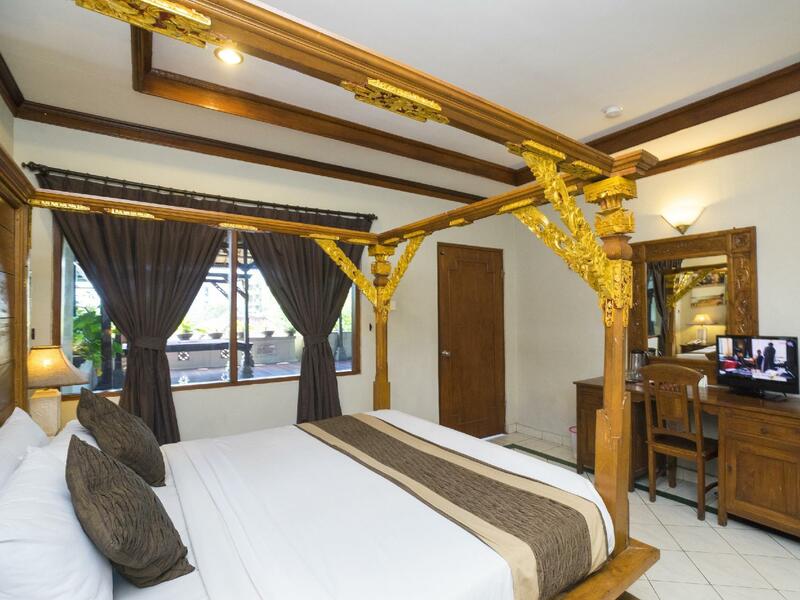 Was looking for a quiet hotel and stayed in the bungalow, and quiet and peaceful it was, surrounded by traditional green lush Balinese gardens. Big rooms with seperate big bathroom! No issues with wifi, have already booked my returning trip back! Value for money! We stayed in a group & you cannot beat the price. We even got a free upgrade. Rooms were very clean, staff were all fantastic. The pool area was lovely & there are $4 cocktails which were very nice. The restaurant is very reasonably priced & very tasty. There are so many great restaurants nearby but we found we ate here quite often. I would definitely stay here again. 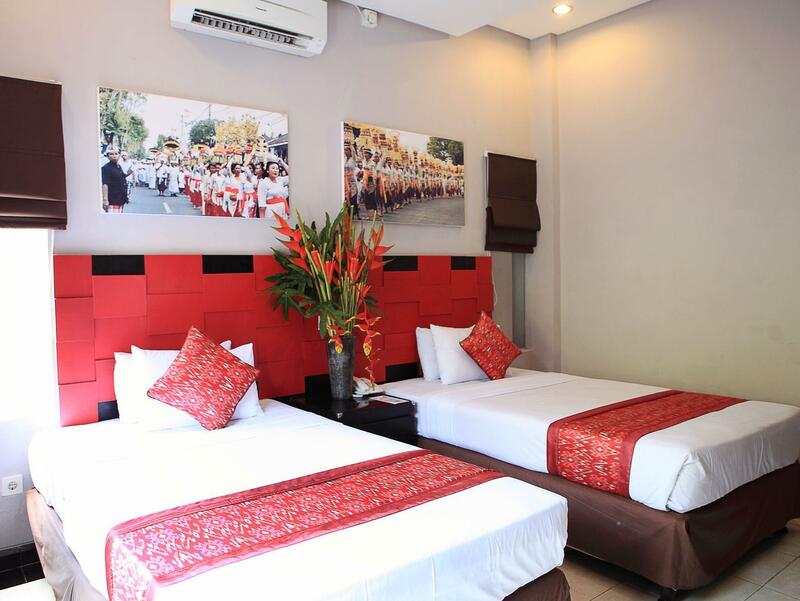 Big room, good location, friendly staff. Enjoyed my 7 night stay. Close to some nice restaurants and bars. Short walk to Kuta action. Standard room in older building was bigger and more comfortable than superior room I stayed in last time. Cleaned daily. Big balcony. Pool looked a bit dirty but had friends staying near by with nice pool so not worried about that. Staff were friendly and helpful. Wifi didn't work first day but not their problem. All good after that. Will stay again if I'm on a budget. Very good price for what I got. Thanks. 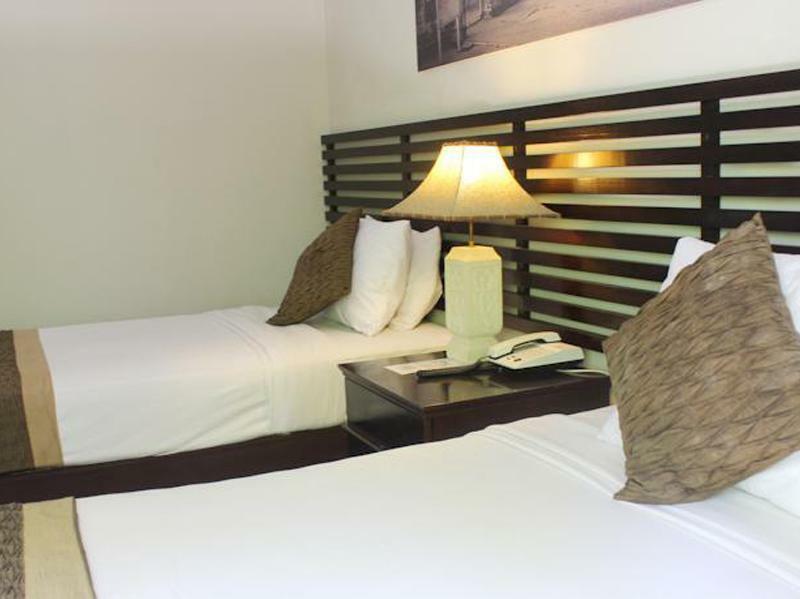 The hotel is located less than 5 minutes walk from Legian beach. Many restaurants and shops nearby. Comfortable for its price. Attentive staff. I was to leave at 4 AM in the morning, I asked for a morning call and a cab the previous night, the cab was already available when I came out from my room and the check out process went smoothly. Booked for a night each either side of a weekend. Great staff. We stayed in the small annexe compound across the street from the main hotel so it was quieter. Nice swimming pool. Older rooms and furniture but reasonable comfortable. Great balcony with table & chairs. This is my second time here. I have paid three times as much on Jalan Padma for pretty much the same standard of room in hotels that claim to be "better." The only thing I would say that you don't get here that you DO get in those more expensive places is a bigger breakfast, but hey, there's so much good food available in restaurants for a song that I don't bother with breakfast. Can not understand the star rating, much better than it looks. Good value for money, large room, clean, if a little bit old. Made up each day. Great included breakfast, more than you need. wiwf bit slow but it is in most places. Computers available for guests to use. Great pool. Restaurant is good value and nice friendly staff. Nice area close to the beach and a $2 motor cycle ride to the nightlife in Kuta or Seminyak. Stores across the road, lots of restaurants and bars nearby. Stayed here 3 times now, so must be ok. Can not understand the star rating, much better than it looks. Good value for money, large room, clean, if a little bit old. Made up each day. Great included breakfast, more than you need. wiwf bit slow but it is in most places. Computers available for guests to use. Great pool. Restaurant is good value and nice friendly staff. Nice area close to the beach and a $2 motor cycle ride to the nightlife in Kuta or Seminyak. Stores across the road, lots of restaurants and bars nearby, and forgetting the massage shops, genuine ones. My second stay here. Can not understand the star rating, much better than it looks. Good value for money, large room, clean, if a little bit old. Made up each day. Great included breakfast, more than you need. wiwf bit slow but it is in most places. Computers available for guests to use. Great pool. Restaurant is good value and nice friendly staff. Nice area close to the beach and a $2 motor cycle ride to the nightlife in Kuta or Seminyak. Stores across the road, lots of restaurants and bars nearby.